Apple authorized reseller and AppleInsider sponsor B&H Photo is running a limited time deal blast on its remaining Apple 128GB iPad Airs with Wi-Fi + 4G LTE in Space Grey, slashing the price of each to $449 with free shipping and no sales tax collected if the order is shipped outside NY. That's $480 off their original retail price, $280 off their recently reduced retail price, and the lowest current price anywhere for these models by over $40, according to our iPad Price Guide . This is a limited time offer that may expire at any time or when supplies run out. This limited time deal from AI and Apple Authorized Reseller Adorama offers Apple's mid-2014 11" MacBook Air (1.70GHz/8GB/512GB) model MF067LL/A with AppleCare for $1,089.00 with free shipping and no sales tax collected outside NY & NJ. That's $809 off the original MSRP for the MacBook with AppleCare, $359 off their current MSRP, and the lowest price we've ever seen for this bundle. To take advantage of this offer, follow the detailed steps below or use the links in this article (or our Price Guides) and apply promo code APINSIDER during checkout and then complete this $50 Rebate (issued in the form of a Amex pre-paid card) after your order ships. Expiring soon: AppleInsider and Apple Authorized Reseller Adorama have teamed up this week to give away a Free Apple TV and instant discounts of $119 to $469 on nearly 90 different 21- and 27-inch iMac configurations with AppleCare extended protection, all of which also ship free with no sales tax collected in 48 states. To take advantage of this offer, first make sure that you take 20 second to register & login to Adorama's free VIP customer program. Then use the special pricing links in this article to add an iMac with AppleCare & Apple TV bundle to your cart. During check out (right after shipment info and before payment info) click the link that says Do you have a gift card or promo code? and then apply Promo Code APINSIDER. This promo code will deduct the price of the Apple TV plus an additional $12.05 ($80 total) from the price of the already-discounted bundle. The savings listed below in red typeface reflect the total discount when compared to Apple's current price for that iMac model with AppleCare before factoring in the free Apple TV and any tax benefits. For instance, if you live outside NY & NJ, Adorama also won't collect sales tax on your order (another $90-$270 depending on the model). 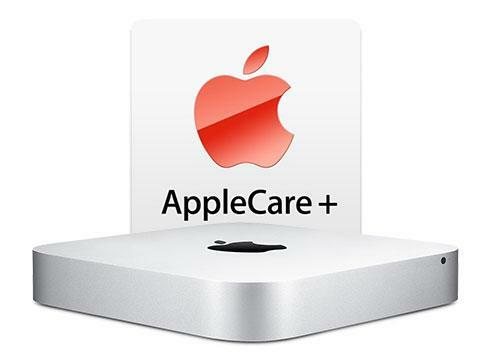 AppleInsider is teaming up with Apple Authorized Reseller Adorama to give away free AppleCare plus additional instant discounts (on most models) with each Mac mini purchase. To take advantage of the Mac mini offer, first make sure that you take 20 second to register & login to Adorama's free VIP customer program. Then use the special pricing links below (or in the Macs with AppleCare Price Guide ) to add a Mac mini with AppleCare bundle to your cart. During check out (right after shipment info and before payment info) click the link that says Do you have a gift card or promo code? and then apply Promo Code APINSIDER. This promo code will deduct $30 from the price of the already reduced bundle, which when combined with Adorama's instant discounts, knocks out the cost of AppleCare and adds an additional cash discount on most models. The savings listed below in red typeface reflect the total discount when compared to Apple's current price for that Mac mini model with AppleCare. Keep in mind that if you live outside NY & NJ, Adorama also won't collect sales tax on your order. Today only, as its Deal-Zone deal of the day, B&H Photo has slashed $500 off the cost of Lytro's Illum Light Field Digital Camera model B5-0035, dropping it down an industry low of $799.00 with Free Expedited Shipping and no sales tax collected on orders shipped outside NY. By comparison, Amazon sells this camera for $1,200 . Expires Tuesday @ 11:59p.m. ET. EXPIRED: Apple authorized reseller B&H Photo has just dropped the price of Apple's new 13" MacBook Pro (2.7GHz, 8GB 128GB) model MF840LL/A to $1,099 , which is $100 off an tied for the lowest price anywhere, according to our Price Guides . However, B&H is the only reseller at this price who does not collect tax on orders (unless you live in its home state of NY). Simultaneously, B&H also marked down the same MacBook Pro with 256GB of storage by $100 to $1,399.99 . EXPIRED: Apple Authorized Reseller Adorama and AppleInsider have teamed up to give away 3 years of AppleCare extended protection with each of Apple's 3 standard early-2015 13" MacBook Pros when using the links below and promo code APINSIDER. In total, readers can save between $248 and $278 off Apple's price when using the instructions below, with the added benefits of free shipping and no sales tax on orders that ship outside NY & NJ. This deal is valid for the next 12 Hours or when the supply of each configuration runs out, whichever comes first. Expires July 31st. EXPIRED: For the next couple of days, Apple Authorized Reseller B&H Photo is offering Apple's 27.0" iMac with Retina 5K display (3.3GHz/8GB/1TB-HDD/M290) model MF885LL/A for $1,799 with Free Shipping and no sales tax collected on the order if you live outside NY. That's $200 off Apple's price and the lowest current price anywhere by $70, according to our Price Guide . Once the iMac is in your cart, you can also tack on AppleCare for the discounted rate of $125. Of you can step up to the 27.0" iMac (3.5GHz/8GB/1TB/M290X) model MF886LL/A for $2,199 (also $200 off for a couple more days). EXPIRED: Extended until July 31st: Apple Authorized Reseller is offering AppleInsider readers $200 off Apple's early-2015 13" MacBook Pro (3.1GHz, 8GB, 256GB) model Z0QN-MF8404 with Promo Code APINSIDER, dropping the price to $1,599.99 . This is not only the lowest current price for this built-to-order configuration by $200, according to our Price Guides , but also the lowest price we've ever seen for this model. It's available until July 31st or when the limited allotment of units for this deal sells out, whichever comes first. Ships free with no sales tax unless you live in NY or NJ. You must first register and log in to a free Adorama VIP account to purchase this deal. Apple Authorized Reseller Adorama and AppleInsider have teamed up to give away free AppleCare, a free Apple Wireless Keyboards & Mouse, and discounts of between $100 and $700 on over 100 different Mac Pro configurations . Tack on an Apple Thunderbolt Display for an all-time low of $750 or grab a 27" Dell Ultra HD 4k Monitor for $525. With very few exceptions, this promotion delivers the lowest prices we've ever seen on these Mac Pro models. To take advantage of this offer is easy: first make sure that you take 20 second to register & login to Adorama's free VIP customer program. Then use the special pricing links below (or in the Macs with AppleCare Price Guide ) to add an Mac Pro bundle to your cart. During check out (right after shipment info and before payment info) click the link that says Do you have a gift card or promo code? and then apply Promo Code APINSIDER. This promo code will deduct $80 (or more from) the price of the already-discounted bundle to bring the final price of the Mac Pro bundle inline with the prices you see below. Adorama also will only collect sales tax if your order is shipping to NY or NJ. AppleInsider and Apple Authorized Reseller Adorama have teamed up this week to give away a Free Apple TV and instant discounts of $119 to $469 on nearly 90 different 21- and 27-inch iMac configurations with AppleCare extended protection, all of which also ship free with no sales tax collected in 48 states. To take advantage of this offer, first make sure that you take 20 second to register & login to Adorama's free VIP customer program. Then use the special pricing links in this article to add an iMac with AppleCare & Apple TV bundle to your cart. During check out (right after shipment info and before payment info) click the link that says Do you have a gift card or promo code? and then apply Promo Code APINSIDER. This promo code will deduct the price of the Apple TV plus an additional $12.05 ($80 total) from the price of the already-discounted bundle. The savings listed below in red typeface reflect the total discount when compared to Apple's current price for that iMac model with AppleCare before factoring in the free Apple TV and any tax benefits. For instance, if you live outside NY & NJ, Adorama also won't collect sales tax on your order (another $90-$270 depending on the model).